Pension plan's decision to divest $4 billion from hedge funds came after officials concluded the program couldnt be expanded enough to justify the costs. The California Public Employees’ Retirement System’s decision to divest its entire $4 billion from hedge funds came after officials concluded the program couldn’t be expanded enough to justify the costs. The $298 billion pension, known as Calpers, said yesterday it would eliminate 24 hedge funds and six hedge fund-of-funds. The decision isn’t related to the performance of the program, Eliopoulos said. The board hasn’t decided where to invest the money after the pullout, which will take about a year, he said. The largest U.S. pension is getting out of hedge funds even as other large public plans such as New Jersey’s add to the private portfolios. Calpers has been working to reduce risk after the global financial crisis wiped out more than a third of its wealth, forcing it to increase contributions from taxpayers to cover losses. Calpers first invested in hedge funds in 2002 to help meet target returns to cover the growing cost of government retiree benefits. The pension fund paid $135 million in fees in the fiscal year that ended June 30 for hedge fund investments that earned 7.1%, contributing 0.4% to its total return, according to Calpers figures. “We do not believe for Calpers’ scale, that we could grow the hedge-fund program to a scale that would be meaningful,” Eliopoulos said in the television interview. Because of its size, Calpers is often a trend setter among pension funds on investment strategies, said Keith Brainard, research director of the National Association of State Retirement Administrators. “I would expect their decision to divest from hedge funds will cause some public pension funds to re-evaluate their hedge fund strategy, although many public pension funds consider hedge funds to be a vital part of their diversified portfolios,” Brainard said yesterday by e-mail. Calpers earned 18.4% in the fiscal year as global stock indexes rose to records. The fund’s market value reached $300 billion for the first time July 3, making it bigger than all but two companies on the Dow Jones Industrial Average. 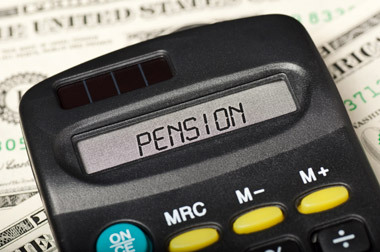 The pension invests in funds run by Och-Ziff Capital Management Group LLC, Bain Capital LLC’s Brookside Capital and Lansdowne Partners LP, according to a report from Calpers. Its fund-of-funds investments include funds run by Rock Creek Group LLC and Pacific Alternative Asset Management Co.
Jonathan Gasthalter, a spokesman for Och-Ziff, and Stephen Labaton, a spokesman for Rock Creek, declined to comment. Bear Albright, a spokesman for Bain, didn’t immediately respond to a telephone call seeking comment after regular business hours. A Lansdowne spokesman, Andrew Honnor, didn’t respond to an e-mail seeking comment after regular business hours. Steven Bruce, a spokesman for Pacific Alternative at ASC Advisors, didn’t respond to a request for comment. Calpers’ return goal is 7.5%. The annualized rate of return on its hedge fund investments over the last 10 years is 4.8%. Hedge funds have amassed a record $2.8 trillion in assets as institutional investors pour money into alternative investments. McKinsey & Co. said last month that assets in alternatives, which also include real estate and private equity, may reach $14.7 trillion by 2020, double the current level. Unlike traditional money managers, hedge funds can bet on rising as well as falling prices of securities, aiming to make money in any market environment. They generally charge fees of 2% of assets and 20% of returns, a level of remuneration that some institutions have balked at. While Calpers was one of the earliest pension funds to invest in hedge funds, it has lagged behind many of its peers in increasing investments. The $60 billion Massachusetts fund has 9.5% of assets in hedge funds. New Jersey’s state plan, with $81 billion in assets, has added more than $1 billion in new hedge fund investments in fiscal year 2014. Joe Dear, Calpers’ chief investment officer until his death from cancer in February, restructured the pension’s portfolio after he was hired in 2009 to steer the fund through the recession. He shed speculative real estate investments and focused on private equity, emerging markets, hedge funds and public-works projects to help meet the fund’s targets. Dear’s permanent replacement has yet to be named. Calpers has more than 1.6 million members in its retirement system and more than 1.3 million in its health plans. The fund administers health and retirement benefits for 3,090 public school, local agency and state employers. –With assistance from Katherine Burton and Brian Chappatta in New York, James Nash in Los Angeles and Alison Vekshin in San Francisco. Check out Ritholtz: Calpers’ Hedge Fund Exit Sets Off an Earthquake on ThinkAdvisor.